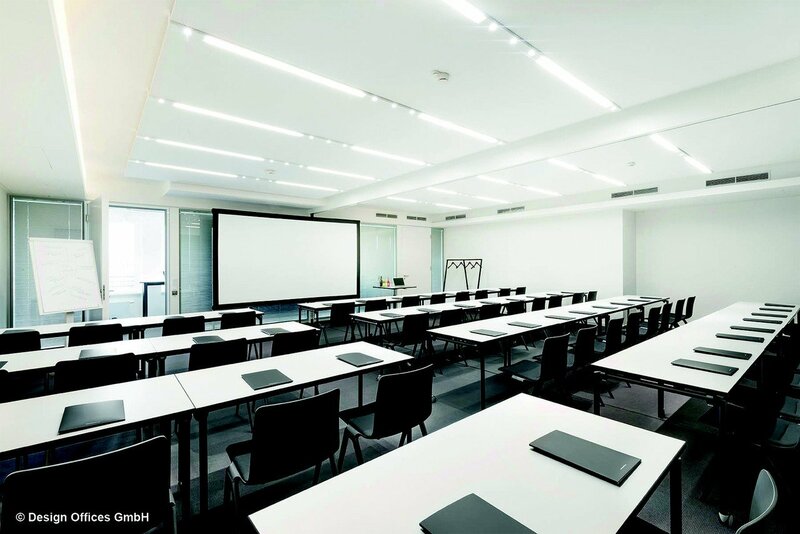 The Training Room offers all the features of a conventional classroom and is ideally suitable for conferences, training sessions and seminars with larger groups. Whether you choose a theatre or classroom configuration, you can create the right atmosphere for your presentation and receive the full attention of all participants. The multifunctional equipment provided also offers all you need for the modern world of work. Expect state-of-the-art technology and high-quality furnishings, including partition walls that you can write on and which allow the room to be divided flexibly. The two rooms on the 7th floor can be used individually or in combination. The adjoining catering zone, which is flooded with light, takes you directly through to the balcony with a view of the Spree. Full or half day rental available.